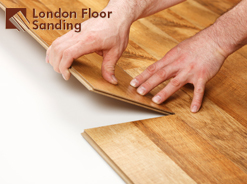 If you want to use a professional floor fitting service in London, take advantage of ours. 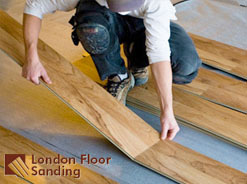 We will gladly help you install new floors around your home or office. We have flexible working hours and are very reliable. Our service is detailed and results-oriented. We make sure our clients remain happy with the outcome. We can assure you we have plenty of experience in this field and are able to offer high standards of service on any occasion. All you need to do is get in touch with us and get a service. It takes a few minutes to arrange all the details. Then we will take care of everything. If your old floors no longer look their best and you do not want them to ruin your home interior, we advise you to turn to our firm. With our professional floor fitting and experienced technicians, you will surely get the service you have been waiting for. We work in and around London and will be glad to help you. Our fitters are very renowned in London. They are known for their professionalism and attitude, as well as the excellent results they obtain, no matter the type of floor they have to install. They are trained in floor installation and know the minutest detail regarding this job. The floors they lay are able to endure in the many years to come because our technicians are very experienced and get the job done the right way, following the best methods and using the latest tools. The process itself takes a few hours. Of course, it largely depends on the size of the area that has to be covered. Before laying the floor, our fitters will measure and prepare the surface. They need to remove any imperfections to make the surface even and smooth. There are a variety of patterns we can use to lay a new floor. If you trust our firm to perform floor fitting for you, you will not regret it. With all the methods and knowledge we use, there is no doubt your new floors will endure for a long time, no matter how heavy the traffic they receive on a daily basis. We guarantee amazing results. Just give us a call.